12 Visitors, 0 Member, 0 Moderator, 0 Administrator online users. Ok so I maybe getting a much better paying job soon and that means putting a new ring together as a present to me for working my (you know what) off to get the job. I went over to the FAH forums to look at the ATi camp and see whats going on. After reading a few posts 1. my eyses are bleeding, and 2. i still have no clue whats going on with Support for ATi in the future and if they will get any better PPD as a result of any attention paid to them. Currently i run a 4850 with adjusted EV's and have the ATi driver reporting 90-98% activity on the GPU and able to still run a CPU client on the core wiht out it suffering too much from the others that have full run of the core. So I am content with the results. However, as with every new build I throw out any loyalty to any brand and get what fits what i want to do with the rig the best. Folding is always a part of this decision making process as is budget and this time around i was looking to go an all ATi/AMD route and use multiple GPU's in the system. I read a lot of people questioning the ATi support and weather the ATi cards actually run at their full potential. So whats the real deal right now and what do you all know about the future support for the cards? Will they ever be on par with the Nvidia offerings? Unfortunatly, no one can answer the two questions everyone ask now : when will an update core be available ? what will the performances be compared to previous version and nVidia version ? That's what i thought. I am not a PPD monger but i do want my Folding to be efficient and effective as it can be. If my computer is going to be on i want it running at its MAX other wise its kind of a waist. Next Question. is there a difference in the WU's that the different cards run? Like is there only cretin science that can be done on an ATi or Nvidia card. I remember (not sure if its still true) a time when they said that cretin WU's only worked on the uni-processor client when the SMP client came out, and for every not to not abandon the good old classic client. I'm also concerned about the poorly optimized ATI cores. I got some 3200PPD while folding on the HD 4770, but only ~5000PPD on the HD 5870. I'm still hoping that Pande Group will fix this some day. Maybe the new 6800 series could be an answer? 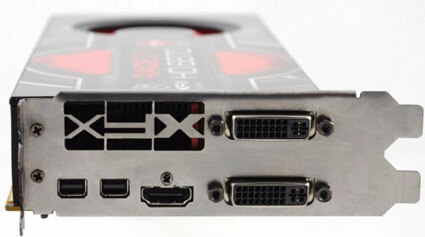 The Radeon HD 6850/70 will be released on the 22nd of this month. The 6950/70 will come out late November and the dual GPU (6990) will come out mid to late December. seems like these cards are making inroads but maybe not so much for Folding? Folding-wise these cards will be more or less the same compared to Cypress. AMD's goal was to increase geometric speed calculations (such as tessellation) and decrease the shader count ratio. Basically, they want to increase gaming performance rather than GPGPU. I'm going to wait and see how Cayman performs on GPGPU apps. If Cayman only has 5% more processing power than Cypress, I'll be going nVidia next round. Two full GF104's or a single 512 SP GF100. A great sub 200€ card. I will post HD 6870's PPD as soon as possible. From what I've heard GTX 580 will have less GPGPU power than GTX 480. GF110 might just be a GF100 with all the SPU's enabled plus GF104 architectural enhancements. The only thing that really bothers me about consumer Fermi's is that nVidia intentionally limited double precision performance. If F@h ever took advantage of DP on GPU's, nVidia cards would perform terribly.